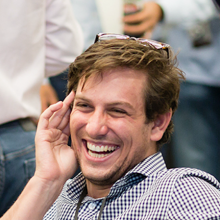 Nathaniel Krasnoff is an investor at Wildcat Venture Partners, an early stage Bay Area based VC looking at how intelligent systems affect a broad range of verticals including Workforce Innovation, retail, supply chain, logistics, fintech, edtech, insuretech, digital health, enterprise iOT, and others. Nathaniel is a recovering mechanical engineer with a passion for developing new products and initiatives that improve the lives of the people who use them. To date, he has spent the majority of his professional career developing technology in the spaces of augmented reality (AR) and transportation through which he designed and built AR motorcycle helmets and electric race boats, and is a proud member of World Economic Forum’s Global Shaper Initiative.